Three others remain in jail. 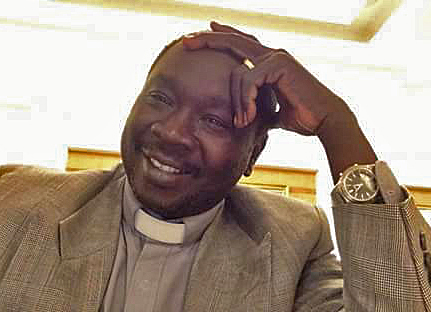 NAIROBI, Kenya (Morning Star News) – A court in Khartoum, Sudan today released a pastor from prison after acquitting him of charges punishable by the death penalty, sources said. The Rev. Kwa (also transliterated Kuwa) Shamaal, head of Missions of the Sudanese Church of Christ (SCOC), was acquitted of charges ranging from spying to inciting hatred against the government. He had been arrested without charges from his home on Dec. 18, 2015. “Yes, he was released today after the court found that he was not guilty of the charges brought against him,” said attorney Muhanad Nur, part of the team of lawyers defending Shamaal and three other Christians. Relieved SCOC church leaders expressed their joy. The court also charged Kwa’s colleague, the Rev. Hassan Abdelrahim Tawor, and two other Christians, Czech aid worker Petr Jasek and Abdulmonem Abdumawla of Darfu, with crimes against the state that carry death penalty. The charges include espionage, waging war against the state and gathering false news information, as well as inciting hatred between classes. Abdelrahim Tawor was also arrested from his home on Dec. 18, 2015. After the two pastors’ arrest a year ago, Shamaal was released on Dec. 21, 2015 but was required to report daily to the offices of the National Intelligence and Security Services (NISS), a requirement that was removed on Jan. 16, 2016. He was re-arrested on May 25. Shamaal and Abdelrahim Tawor were charged with trying to tarnish the image of Sudan’s government by collecting information on persecution of Christians and genocide in the Nuba Mountains. The charges included collecting information for “other parties hostile to Sudan.” They were accused of conducting intelligence activities and providing material support for Nuba rebels in South Kordofan under two charges that carry the death penalty – waging war against the state (Article 51 of the Sudanese Criminal Code) and spying (Article 53). Similarly charged are Czech aid worker Jasek and Abdumawla, who initially said he was Muslim but later admitted he was Christian. He was arrested in December 2015 after he began collecting money to help a friend, Ali Omer, who had needed treatment for burns suffered in a student demonstration. Abdumawla contacted Abdelrahim Tawor, who donated money for Omer’s treatment, which apparently raised the ire of Sudanese authorities, according to Christian Solidarity Worldwide (CSW). Prosecutors have charged Jasek, also arrested in December 2015, with “tarnishing Sudan’s image” by documenting persecution. He is also charged with waging war against the state, reportedly based on an accusation that he gave money to “some individuals” in South Kordofan in 2012, allegedly including some rebel fighters. At one hearing, NISS official Abbas el Tahir accused the defendants of conducting “hostile activities against the state that threaten the national and social security” in Sudan, according to Netherlands-based Radio Dabanga. He accused aid organizations of publishing false reports against Sudan. Attorney Nur said he is hopeful that the other defendants also will be released soon. The next court hearing is scheduled for Jan 9. 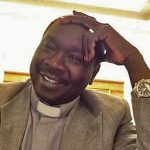 Foreign diplomats and international rights activists have taken notice of the case since Morning Star News broke the story of the arrest of two pastors in December 2015. Their arrest is seen as part of a recent upsurge in harassment of Christians.